In response to the lack of diversity of Academy Award nominees in 2015, actress Halle Berry recently said that her historic 2002 Best Actress Oscar win for Monster’s Ball was essentially worthless. Berry, who is biracial, was the first non-white woman to win the prestigious Best Actress award—and she’s still the only one fifteen years later. Instead of kicking the door open for African-American women and other women of color to be recognized by the U.S.’s most rarefied of awards for cinema, Berry sort of left the door cracked just enough for the Viola Davises or Octavia Spencers of the world to slip through, albeit in supporting roles. It’s hard to know whether Berry really thinks her achievement was or is insignificant, but the idea that she sees her big win in the context of what it means in terms of representation, race, and gender speaks to the complex uphill struggle of non-white and female artists in the world of entertainment. It’s hard to imagine 2017 Oscar Best Actress winner Emma Stone or Best Actor winner Casey Affleck seeing their recent Oscar wins in the context of race. Another historic win for yet another white actor! 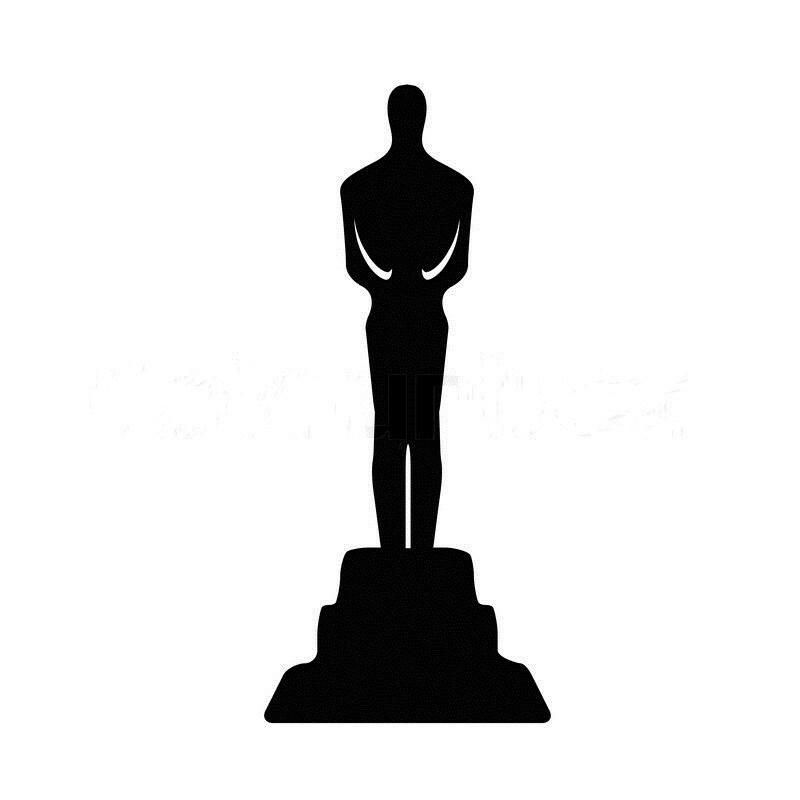 Indeed, the list of non-white Oscar nominees and winners in major acting and non-acting categories since the beginning of the Academy Awards makes for very quick reading. Filter out wins for films and performances not set in the U.S. (e.g. Ben Kingsley for Gandhi) and apologetic dramas about race or slavery (e.g. Crash), and there’s not a whole lot left. The dearth of nominees and winners in most of the main categories demonstrates how a lack of quality, diverse film productions and control of the levers that finance and support productions have kept so many from being recognized by the Academy and so many other stories from ever being told. Depictions of people of color in American film and television have long been a contentious issue but more recently have found a certain footing in the sometimes misplaced outrage against a wide array of films “whitewashing,” including outcry against white-dominated film such as Tim Burton’s adaptation of Miss Peregrine’s Home for Peculiar Children, Cameron Crowe’s Aloha, and last year’s would-be critical darling, La La Land. The liberal cross-hairs that often target such Hollywood films are also accompanied with broad demands for more diverse casts–but this often misses the mark. A recent example shows how an offhand acknowledgement of the potential coming anger for the lack of women and minorities in Christopher Nolan’s lauded historical Dunkirk in a review by the USA Today can almost instantly induce false outrage to boil up from the right. The problem with political footballs is that there’s a whole lot of yelling and usually no one scores. The effort on one side seems to focus on the Oscars, where industry folks who skew older nominate films in a variety of categories and reward mostly A-list celebrities and the big Hollywood studios, as well as the occasional big Hollywood film, like the criticism drawn to super-white Oscar-winner Tilda Swinton replacing an Asian character from the original Marvel comics in Dr. Strange, even though the cast includes much more diversity overall than most blockbusters. The opportunist reflex from the other side seems to either attack the messenger or write off the argument because there are flaws—but to never acknowledge the very real diversity gap. Nothing to see here, folks. The effort to get more people of color nominated for Oscars seems to fit the liberal pattern of putting a Band-Aid on something that really needs reconstructive surgery and lots of physical therapy. The idealism comes from a good place, and many of these vocal critics want to cure an undeniable problem, not just diversity but the way diversity is represented. But the approach is just too simplistic and too convenient to be a real path to a solution. Using awards and nominations as some sort of barometer of diversity would affect a very small percentage of people working in the industry and be so arbitrary as to not accurately reward the best films and performances—the complete opposite of the spirit of such awards. If all films were made with the main goal of winning Oscars, this prescription might work to some degree. But they are not. The real issues seem to stem from many more complex factors for which there is no easy answer, from the deep-seated social and racial tensions of American society, to a view that there’s a lack of bankable stars of color, to the idea America’s racial divide does not translate at the box office overseas, to the regurgitation of the same ideas over and over because they are simple and safe (and white). Realistic women and minorities are underrepresented in every aspect of the film and television industry, particularly in the roles that we don’t see behind the scenes. The writers. The producers. The bankers and financiers. The studio execs and agents. The lawyers and managers. The directors and all key creative staff too. The film business is a strange mix of conflicting values. It can be both risk-averse and intrepid. Conservative in nature and liberal in values. It is often driven by profit and yet hopelessly artistic. It can create overnight sensations and success stories that take decades to develop. It can also produce derivative drivel and original, inspirational art. And it all comes from collaboration. In short, there are thousands of people involved in the long process of creation–conceptualizing, writing, funding, producing, performing, editing, and distributing. The only answer to making such a collaborative sort of art as rich in variety as its audience is to work to ensure that those hands, those people responsible for every step of the process at every level, are as diverse in every way as we actually are. Filling out cast and crew with diverse people but not delivering on the quality or the box office success of Oscar-nominated and -winning films from 2017, like Hidden Figures, Moonlight, Fences, Lion, and Loving, will not help create award winners. But neither will forcing the Academy to hand out a certain allotment of “diversity” awards help improve the lack of diverse productions. Diversity we create from within the industry will eventually start to show more and more in the work that they all do, when everyone has a voice. White men can’t always be exclusively in charge of telling everyone else’s stories. Things need to change. The answer can’t be black or white, one absolute extreme or the other. It won’t be easy to accomplish. But the result could definitely be a lot more colorful. Next You should play golf.